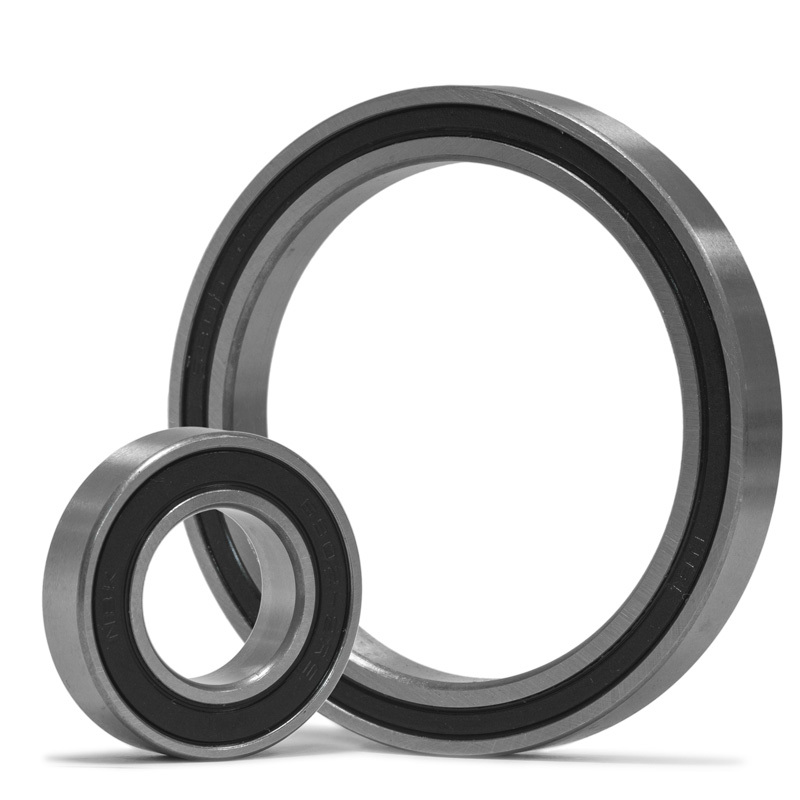 Bearings are often readily available locally at good prices. The bearing codes will show you the numbers to purchase at your local bearing supply shop. Suffixes of -F and -R are for our inventory system only and can be ignored if purchasing through a 3rd party bearing vendor. The sizes are standardized, but there may be a difference in quality from brand to brand and according to the country of manufacture. Our bearings are made in Japan by EZO Precision Ball Bearings. The only exceptions to this are for bearings of non-standard size, however we try to choose bearings that still offer peak performance. All bearing kits include two bearings. This bearing kit covers the main bearings inside the hub shell that support the axle. 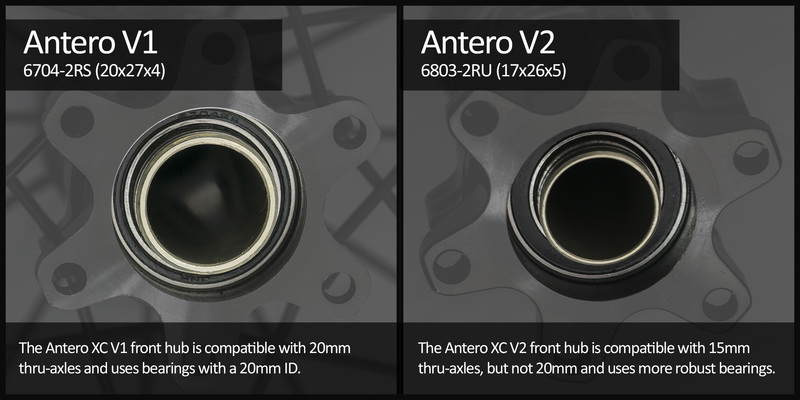 The bearings inside the freebody are not sold separately. 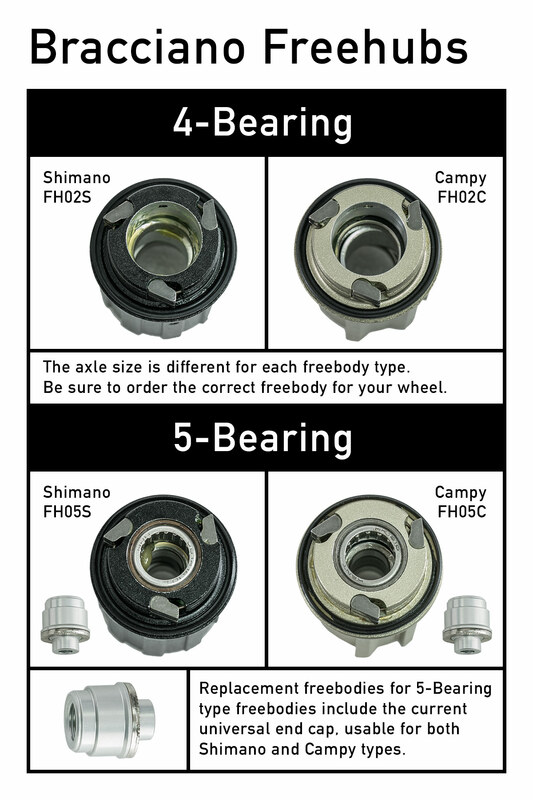 Some entry level wheels only have one bearing that needs to be replaced, but in the interest of simplicty and making the most of shipping costs, we still sell the bearings in pairs. Loose ball bearings include only steel balls. Note that axle kits for loose ball type wheels do include a set of steel balls, so if you are ordering an axle, there is no need to order a bearing kit as well. 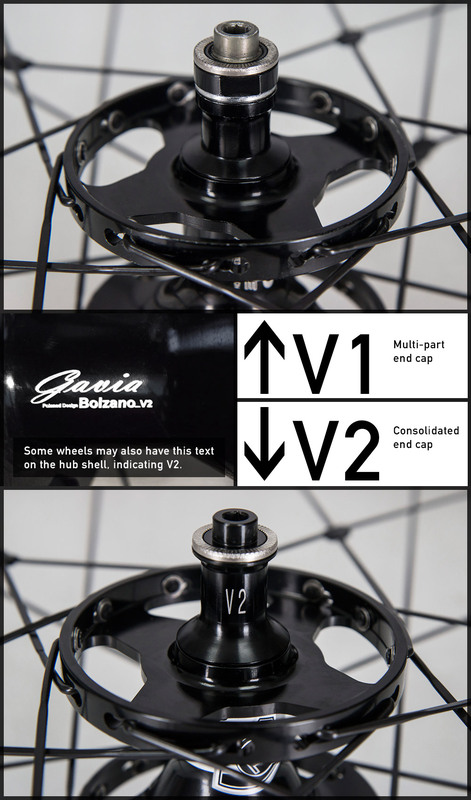 Gavia (all models - V1 Hub) - The V1 hub is similar, but does not have the "V2" text and has a multi-part end cap (click for a pic to show the difference). * Please have the wheel serviced by a qualified technician. Bearings are easily damaged by installing with pressure on the inner race. Damage caused by improper installation not covered by warranty.